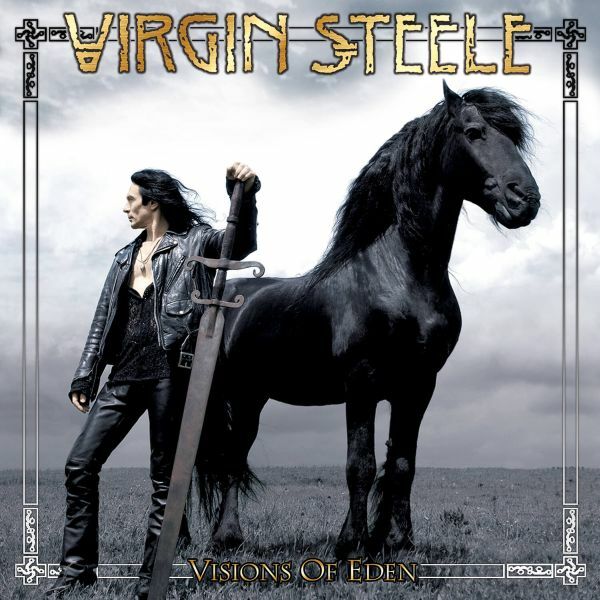 VIRGIN STEELE - VISIONS OF EDEN DELUXE RE-ISSUE (2CD DIGI) | Online Shop | Wizard LTD. Album: "VISIONS OF EDEN DELUXE RE-ISSUE (2CD DIGI)"
On the 17th of February – the Barbaric-Romantic power metal band VIRGIN STEELE will re-issue their eleventh studio album VISIONS OF EDEN. The music from this album first appeared on the Theatrical Stage in what was already the third “Metal-Opera” delivered by David DeFeis to the Landestheatre Scwaben of Memmingen Germany, the first being Klytaimnestra Oder Der Fluch Der Atriden (based on the two VIRGIN STEELE albums THE HOUSE OF ATREUS – ACT I, & THE HOUSE OF ATREUS ACT II). Due to the success of the first “Opera”, that Work was quickly followed by Die Rebellen, an epic based on THE MARRIAGE OF HEAVEN & HELL & INVICTUS albums. Both of the first 2 “Operas”, Klytaimnestra Oder Der Fluch Der Atriden, & Die Rebellen premiered to huge success in Germany, and were extravagantly staged and taken on tour. In 2003 the VISIONS OF EDEN Work premiered on the theatrical stage as “LILITH” again to great success, with over 50 performances to its credit. While many groups have presented “Metal-Operas’ on record, VIRGIN STEELE is the only group that I know of that has managed to present not just one, but three “Metal-Operas” on the Theatrical Stage! The band even managed to get noticed by the “straight press”, such as Der Speigel and Opera News! In the truest sense VIRGIN STEELE combine classical music and subject matter with true power metal in their own inimitable fashion. In the Work Visions Of Eden – The Lilith Project – A Barbaric Romantic Movie Of The Mind…contrary to what the title implies, this album promises no fullfillment of the utopian dream even though the orchestration again shows lavish full-metallic creativity and the band re-demonstrates its compositional strength throughout.Its composer David DeFeis, explains…“VISIONS OF EDEN” is most definitely not about happiness, peace, contentment or Eternal tranquility…it is in fact the complete opposite. It is about disorder, strife, struggle, dominance, the annihilation of a culture, the annihilation of a way of Life, and the violation & annihilation of a human being. I have based this Work around the history of the destruction of Paganism, Gnosticism and the desecration & eradication of the Goddess Principle that once dwelt so freely within Divinity. A massive blow was struck against these early beliefs, by first, the rise of the "Father-God" principle, and second by the development of "organized" religions. The VISIONS OF EDEN album concerns LILITH, first wife of Adam, (he of Biblical fame, as in Adam & Eve and the apple, the snake and all that fig leaf and rib propaganda), plus Ancient Sumerian Myths concerning Lilith’s relationship with Adam, Eve and God. However, that being said, in actuality, it is really about today…modern times and how we might have arrived here at this strange place we now currently inhabit…VISIONS OF EDEN will be re-issued as a 2 disc digi-pak. 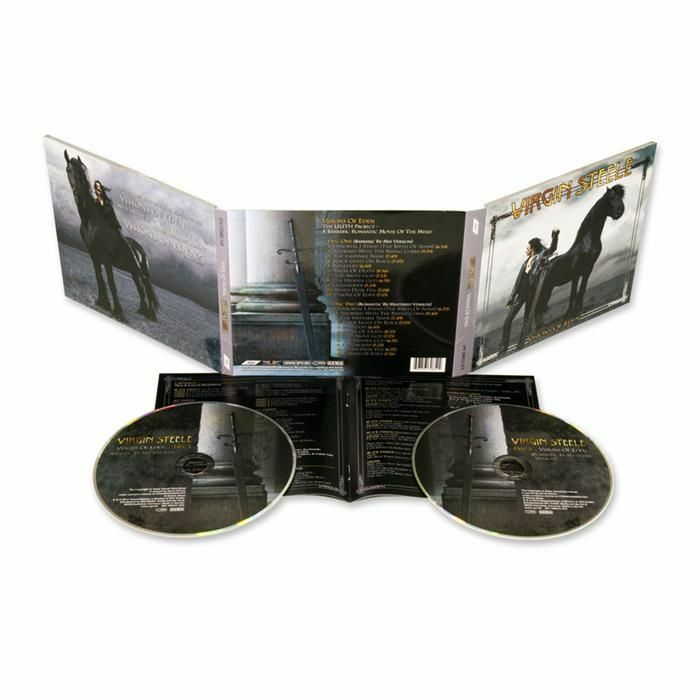 The first disc will contain a remixed version of the entire album and the second disc will contain a remastered presentation of the original version.